TTO is the smallest available meter at 50mmx25mmx14mm(1.9"x1"x0.59") and has large, easy to read digits. 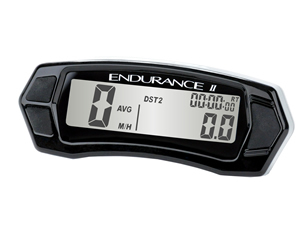 The TTO is available in Black, Red or Orange, the silver TTO instrument has been discontinued. Please make a note in the shipping comments as to which colour you prefer. 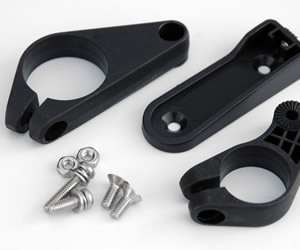 Easily mount it to any surface using either the standard peel-n-stick or optional bolt on mounting options. TTO meter with black aluminium hose adapter to suit 19mm internal diameter coolant hoses. TTO meter with blue aluminium hose adapter to suit 22mm internal diameter coolant hoses. TTO meter with silver aluminium hose adapter to suit 25mm internal diameter coolant hoses. 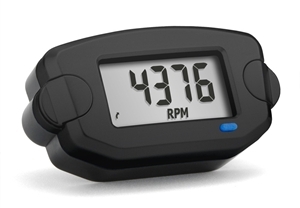 TTO meter with 10mm CHT sensor - suits NGK first digit C numbered spark plugs. 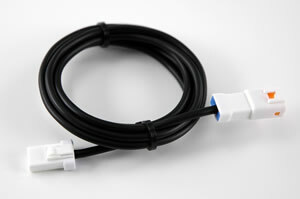 Sensor options for all standard radiator hoses, oil lines, and spark plugs. 14mm spark plug ring sensor. Pleaser specify colour (Black, Red or Orange) in the shipping instructions during checkout. Please note, for rear engined scooters an extension cable is needed. 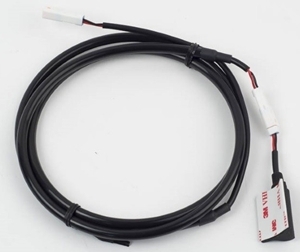 Part number V300-48 in Computer Accessories_Temperature sensors.